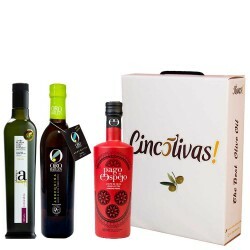 Cardboard Gift Box with 3 bottles to enjoy these high quality Extra Virgin Olive Oils, perfect for gifts. 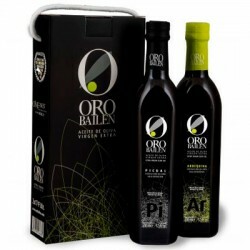 Parqueoliva Gold Series can be used both for frying and for raw, ideal for making sauces or marinated meat and fish. It is also an excellent companion to eggs and sauteed vegetables. 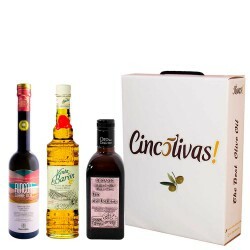 Castillo de Canena is a virgin olive oil variety Picual top quality as well evidenced by the numerous awards received and its position among the top 20 best oils in the world over the last 3 years. Oro del Desierto variety Arbequina is an organic extra virgin with excellent features, in which the process and the product have been lovingly cared for and the result is amazing. 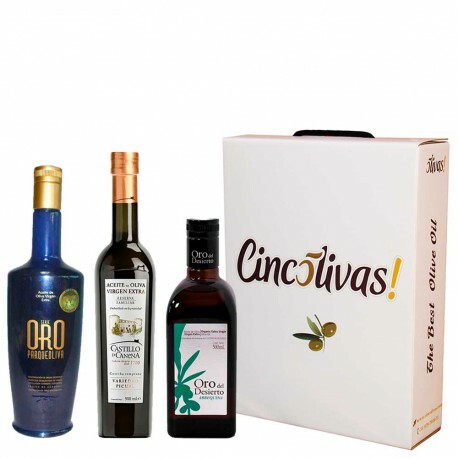 1 bottle Parqueoliva Serie Oro Coupage 500 ml. 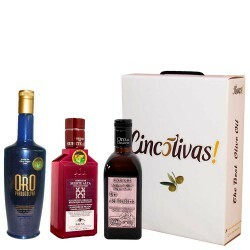 1 bottle Castillo de Canena Picual 500 ml. 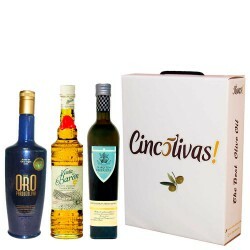 1 bottle Oro del Desierto Ecológico Arbequina 500 ml. 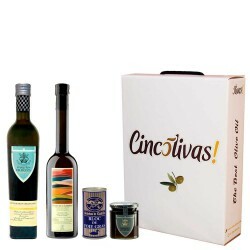 It is an oil-intensive, balanced and harmonious, with some bitterness and itching that leaves a good taste. 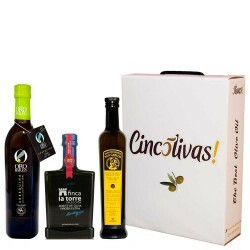 That is why it can be used in all culinary areas being very apt to enhance the flavor of certain foods, such as grilled meats, hunting, sausages and salads. This oil variety Arbequina is an organic extra virgin with excellent features, in which the process and the product have been lovingly cared for and the result is amazing. 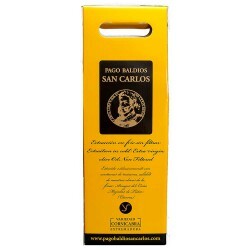 It is an oil with an intense golden color with some green reflection, very fruity aroma and a sweet taste.